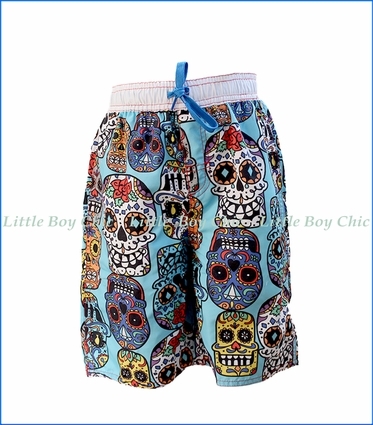 The unique print of these swimshorts will catch everyone's eye at the pool or beach. Decorative sugar skulls, or calaveras, add color and an exotic flair. 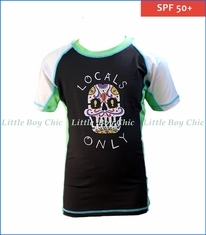 Pair it with our equally goodlooking Wes & Willy "Locals Only" sugar skull rashguard. Pull on with elastic waist. The contrasting drawstring in a strong blue is as striking as it is useful. Mesh lining. Faux fly.